There are some directors whose movies are simply a cut above the rest. Steven Spielberg, David Fincher, Alfonso Cuarón and Martin Scorsese do not necessarily make films often, but when they do their films are invariably of the highest quality. Christopher Nolan rightly has a place among these filmmaking giants and his latest movie, Interstellar, confirms this despite the film’s problems. Interstellar is set in the not-too-distant future. The Earth will soon be unable to sustain life due to crop failures. Mankind needs to find a new planet in order to survive. With the situation desperate, Cooper (Matthew McConaughey) leads a team of astronauts into space so as to find another planet that can sustain habitable life. Interstellar is an ambitious, innovative and stimulating movie. Like The Dark Knight Trilogy, The Prestige and Inception, Interstellar is a film full of ideas such as Murphy’s Law, gravity, love, and how time bends in space to name but four. These ideas keep viewers fully occupied throughout the film’s 167-minute running time. As in the above-mentioned films, Nolan again illustrates his intelligence by writing an ingenious script that holds much realism and does not fall into the generic (and dull) intergalactic ray-gun war between men and monsters. Nolan must be applauded for it and for not patronising his audience (harrumph Michael Bay). Cooper saying goodbye to his little daughter, Murphy (Mackenzie Foy) before he goes on the mission. Granted, most viewers probably will not completely comprehend Interstellar’s dialogue as one may need to be a quantum physics professor and an astrophysics nerd for that. If viewers are neither of those and find the dialogue difficult to grasp, they can still easily enjoy the film simply by sitting back and admiring the awesome sceneries, the breath-taking special effects, and the phenomenal music. The CGI and the music, in particular, make audiences feel like they’re on a wonderful rollercoaster ride through space, and the length of the film enhances this riveting sensation. However, not even this terrific sensation can override or conceal the gaping holes in Interstellar’s storyline (as a train could fit through them). These holes stem from moments of tension that are there solely for the sake of tension (and filler) rather than advancement of the storyline; and from the ending being too rushed and contrived for the movie to make sense. With most directors, viewers would generally accept these plot holes as par for the course. But with Nolan, viewers expect better. Scenes of tension in his previous films have had consequence(s) upon the storylines, and he has given us some of the most original, thought-provoking and satisfying endings in movie history. To see his film suffer from similar problems as those of (cheesy) action films and (second-rate) sci-fi movies feels wrong as Nolan is too smart a man to fall into such holes. Cooper speaking with Amelia (Anne Hathaway) as they try to determine what to do next as they search for a habitable planet. 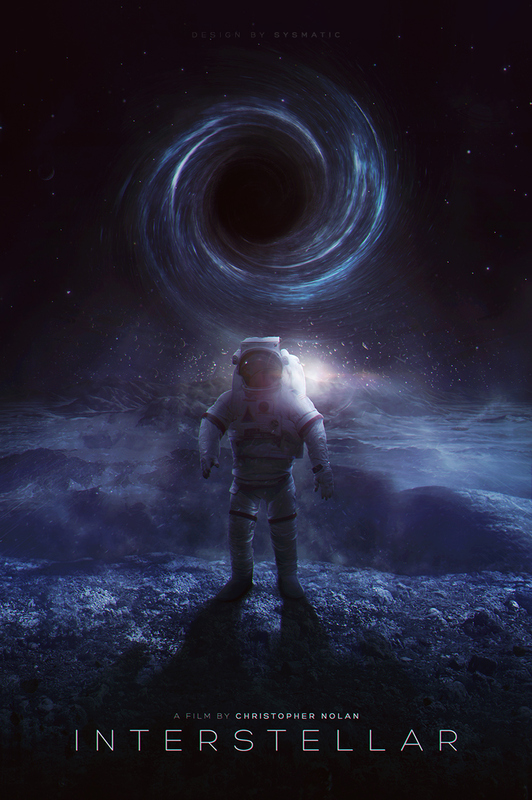 Yet, the above-mentioned holes are not the only issues staring back at Interstellar. 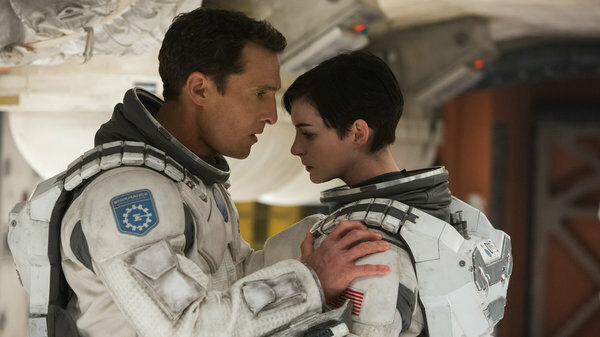 Like Inception, Interstellar is so plot heavy it has no time for character development. For any film, it is excusable not to give peripheral characters proper story-arcs since that bloats the film’s running time unnecessarily and can render a film with a terribly swollen cast (like Interstellar) impractical to make. But what is not excusable for any film, including Interstellar, is for the major characters to not have proper story-arcs. This is because one of the most fascinating parts of a film is the journey the main characters go on and watching how the journey affects them, for good or ill. Without such story-arcs for the major characters, Interstellar feels like a large plate with little food on it: somewhat unsatisfying. 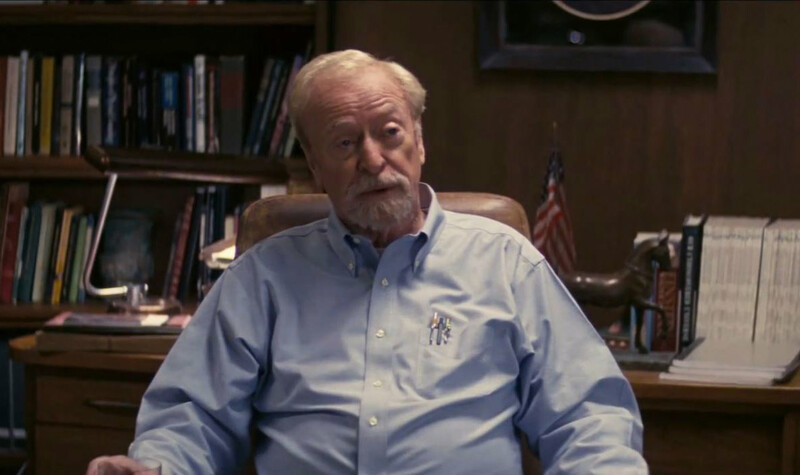 Over-all, Interstellar is a very ambitious, intelligent and challenging movie. Yes, it has plenty of plot problems. And, yes, it does not give its characters enough time for sincere character growth. On the flip side, though, the movie is made worthwhile by the stunning landscapes, the spectacular special effects, the spellbinding music, and the interesting ideas that are seldom explored in films. Suffice to say, Interstellar does not make for an easy 167-minutes and the film would have ended up as a total mess if it were to have been directed by anyone other than a master of his/her craft. This underlines why Christopher Nolan is such an extraordinary director and why he rightly stands among the best in the business in Hollywood.